STANDARD Mirage™ FX Nasal Mask with Cushion and Headgear - SHIPS FREE! WIDE Mirage™ FX Nasal Mask with Cushion and Headgear - SHIPS FREE! Mirage™ FX for Her Nasal Mask with Cushion and Headgear - SHIPS FREE! Mirage FX Nasal CPAP Mask utilizes a lightweight design that is simple to use and care for. 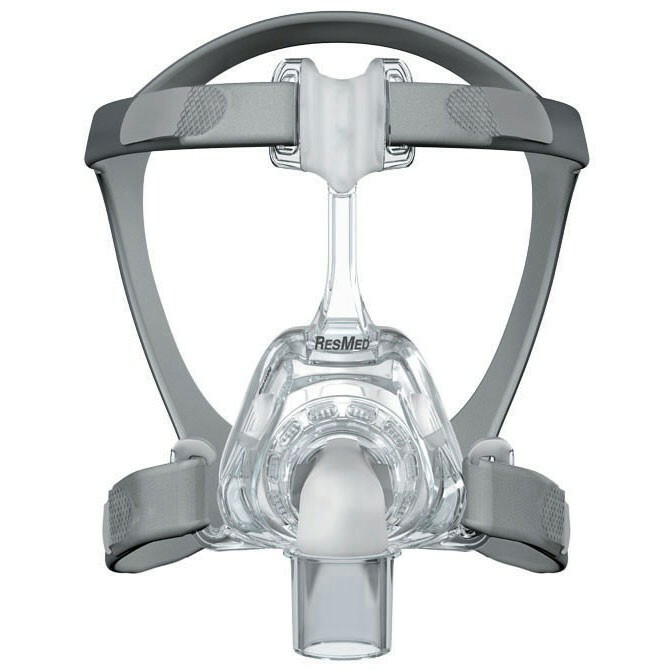 The Mirage™ FX Nasal Mask is manufactured by ResMed and provides exceptional breathing comfort through the night. With compact and ultra-light frame engineering, CPAP Therapy patients love the comfort and ease of use of the Mirage FX. The Mirage FX Nasal CPAP Mask has only four parts including headgear which is ultra-soft and comfortable. Versatile design accommodates nearly all patients with one mask size. This ResMed CPAP Mask has intuitive adjustment that makes it easy to achieve a perfect fit. One mask fits all design. Slender and ultra lightweight frame provide an open field of vision and stable fit. Contoured SoftEdge™ headgear is kind to the face to reduce pressure and skin marks. Minimalist frame, intuitive adjustment and a new form-fitting headgear, makes it simple to maintain a perfect fit. Straightforward assembly makes cleaning a breeze. Dual-wall Spring Air™ cushion provides extra softness at the nasal bridge. I was very pleased with Vitality Medicals fast and professional response to my order. I received my sons mask within 48 hours of my order. Its just like the one I have now. Yes I'm proud of product, just what I ordered.